Truck Transmissions - Rebuilt, New and Used. Truck Transmissions, New, Used & Rebuilt. Wholesale Pricing. Shop for: Eaton Fuller, Spicer, Rockwell Meritor, Mack and Allison Transmission at Discount Prices. The Truck Transmission Warehouse Supplies Heavy-Duty, Mid-Range and Auxiliary Truck Transmissions to Repair Facilities and Shops Worldwide. We offer the full line of transmissions from the largest names in the industry at low prices and have great shipping rates. We pay for the core return shipping and offer a full one year unlimited mileage warranty that covers you all over the USA, Canada and the World. Save on all your truck transmissions and repair parts with Wholesale Drivetrain Co. the leader in the industry. Our massive volume equates to money in your pocket. Units in stock for: Freightliner, Kenworth, International, Peterbilt, Mack, Volvo, Sterling, Ford, GMC, Autocar, Western Star, Dodge and Oshkosh trucks. We buy in bulk from auctions, defunct businesses and closeout inventories and pass the savings onto our customers. 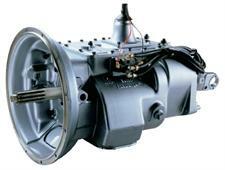 New, Used and Rebuilt Heavy-Duty, Mid-Range and Auxiliary Truck Transmission Units and Parts Delivered! Massive stock of truck transmissions, differentials, power take off units and transfer cases as well as the complete line of replacement parts for all makes and models. One of the most extensive inventories of truck transmissions and exchange units is available from our distribution centers across the USA. 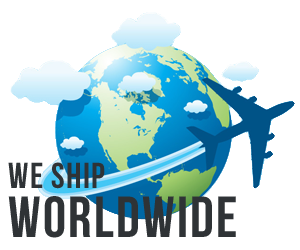 We can ship your new or exchange transmission or repair parts the same day you place your order. Our centralized ordering system makes it easy for you to get the truck transmission model you need without having to deal with multiple people. One call, one representative all the way. Truck Transmission and Parts Warehouse Outlet and Supply.